While experienced hunters will offer lots of information and know-how for those who wish to start deer hunting, there are varied and a million of them. It’s hard to tell whether the tactic is classified as proven, but given time and patience the beginner hunter will learn the necessary skills as well as a few tricks of their own. To start of, deer can be cautions creatures, and there’s nothing more frightening for them than the smell of humans. Though it may sound like deer are a different alien life form that hate humans, it can’t be helped. But just because they can be smart creatures doesn’t mean they can’t be fooled. 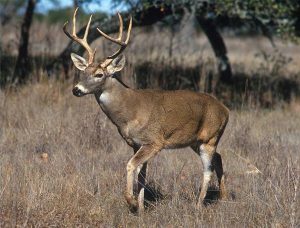 The rut is the best time for any hunter to collect all the necessary equipment to attract or arouse the trophy buck he wishes to mount on his wall. Given the number of bucks available in a particular State, playing with their natural instinct can fool them to the closest trap. Grunt calls for a doe can stir them into a breeding frenzy, thus getting them close enough for a clean kill and applying some synthetic buck or doe urine will make it even more effective. Though decoying can be risky at times, it’s suggested that having a dummy buck in place for the real bucks to search would deviate them from the hunter. Being gouged isn’t a pleasant thing. As for preparation, they will likely think that showering with mild fruity scented soap would allow blending with the woods. This is entirely wrong. Animals have a keen sense of smell that may detect chemicals that aren’t natural to them. It would be best to use some scent free soap like Neutrogena, though it doesn’t eliminate the smell, the hunter won’t give his position either due to the fragrance. Perfumes, colognes and deodorants are an absolute no-no. Some scent eliminators work pretty well to hide that human smell most deer would run away from. It may cost a bit more for the top brands, but the payoff is more than enough for the money well spent. There are thousands more stories, tips and even legends to go through but it would be too much. If the hunter happens to live in a hunting State, joining a local hunting club will give them the necessary tips to make sure a successful hunting drive and the next trophy buck.